The 10th-ranked Buckeyes (8-1, 5-1) head to East Lansing this weekend to take on a Michigan State team (6-3, 4-2) that is ranked 18th in the nation. They are not separated by much in the polls, and Ohio State comes into this game as 3.5-point favorites. It’s a matchup of strengths — OSU’s offense against MSU’s defense. The Buckeyes have the No. 5 offense in the nation, averaging 547.2 yards of total offense per game. The Spartans, meanwhile, have the No. 3 defense in the Big Ten, allowing just 325.1 yards per game. Most of those yards come through the air, as MSU is No. 1 in the nation against the run, allowing just 71.7 yards rushing per game. 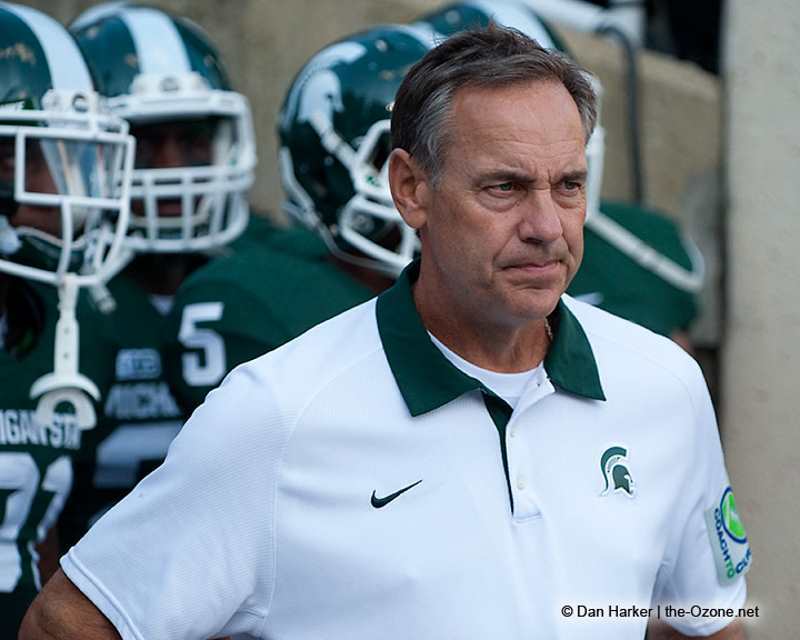 While the Buckeye running game is going to have its difficulties on Saturday, the Michigan State pass defense could be an area of concern for head coach Mark Dantonio. Defensively for the Buckeyes, Dantonio immediately noted the loss of Nick Bosa and the impact that it has had on Ohio State, but also added that there is still talent roaming the defense for the Scarlet and Gray. “They are rebuilding a little bit with the loss of Bosa,” he said. “That’s obviously a big loss for them. With him out, they are replacing three defensive linemen that are playing in the NFL, so that’s tough duty. Their linebacker, (Tuf) Borland, is coming off an Achilles’ injury. So playing in and out. Even with plenty to like about the Buckeyes, Dantonio is also well aware that Ohio State has not been playing its best football. Or if it has, then their best is definitely beatable. The Buckeyes’ last three games have been a 16-point win over a Minnesota team that suffered worse losses against Nebraska and Illinois; a 29-point loss to a Purdue team that lost to Eastern Michigan; and a 5-point win over Nebraska that saw Ohio State trailing at the half. This is a very vulnerable Buckeye football team, and the Michigan State coaching staff is looking to see what has worked for other teams. Dantonio enjoys beating Ohio State way too much to ever have sympathy for any plight they may be going through. And for the most part, the games have gone a long way toward deciding the Big Ten Championship. Even though this particular game may not carry the same weight as the games that Dantonio mentioned, it is still just as important for the two teams involved. Always liked Dantonio. Every time I read an interview of his he reminds me of a calmer Woody.